Music formats come and go. 78s, 45s, LPs, 8-tracks, reel-to-reel, cassettes, CDs, MP3s. Some come back again and others disappear. On one hand vinyl is stronger than it has been in almost three decades while the lowly cassingle (or cassette single) has been banished to the crap can of history. Even the much-maligned 8-track has made an ironic comeback, the cassingle will likely never make a revisionist return. It was designed to be cheap and disposable. The cassingle emerged in the 80s as an inexpensive, portable replacement for the dying 7″ market. From 1987-1995 sales boomed. In 1990 there were more than 90 million sold. By 1996 sales had dropped off a cliff and by 1999 it was all over. Wrapped in a simple cardboard sleeve, shrinkwrapped and sold for a couple of bucks, they were the YouTube clips of their day. Some had the single and a b-side, but many just gave you the single on both sides of the tape. 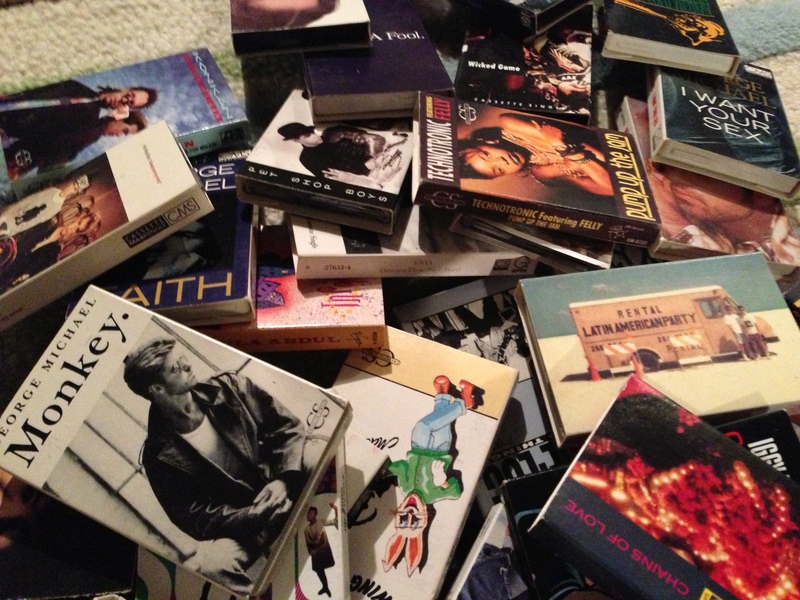 Kids could buy the hits and slap them in the Walkman, boombox or car stereo. Instant gratification in the analog world! Little did I know that in my very own basement there lurked a treasure trove of these three minute nightmares. While moving things around so I could paint the walls and floor I made the discovery. Tucked away in a box, more than a hundred of them waited for me to come along and unleash their big-haired, shoulder-padded power. There must be at least one nugget buried in this goldmine. I dumped out the box and began digging. George Michael, Janet Jackson, Pet Shop Boys, Roxette, Paula Abdul and countless other misdemeanors against music. 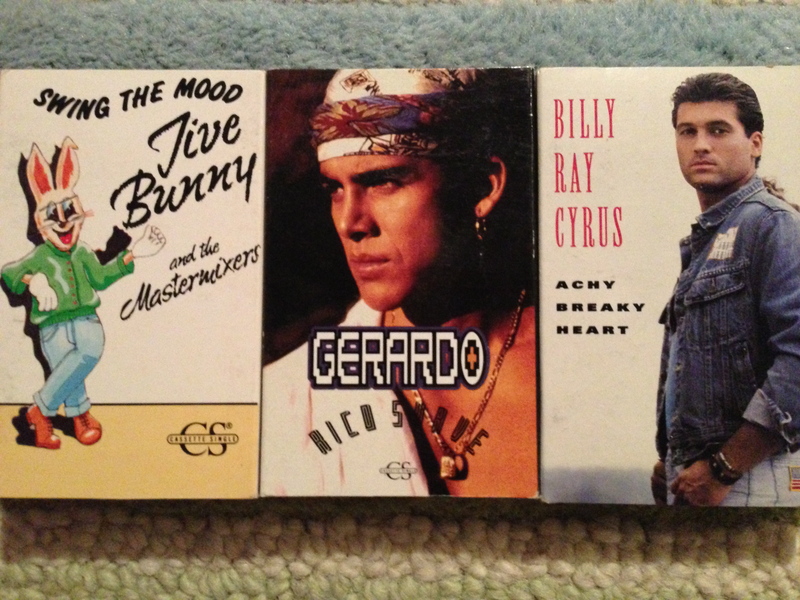 Shuddering as I dug further, I uncovered three true atrocities, Jive Bunny and the Mastermixers, Gerardo and Billy Ray Cyrus. I almost gave up. And then I found it buried underneath everything. Pure gold. A song that will live forever. 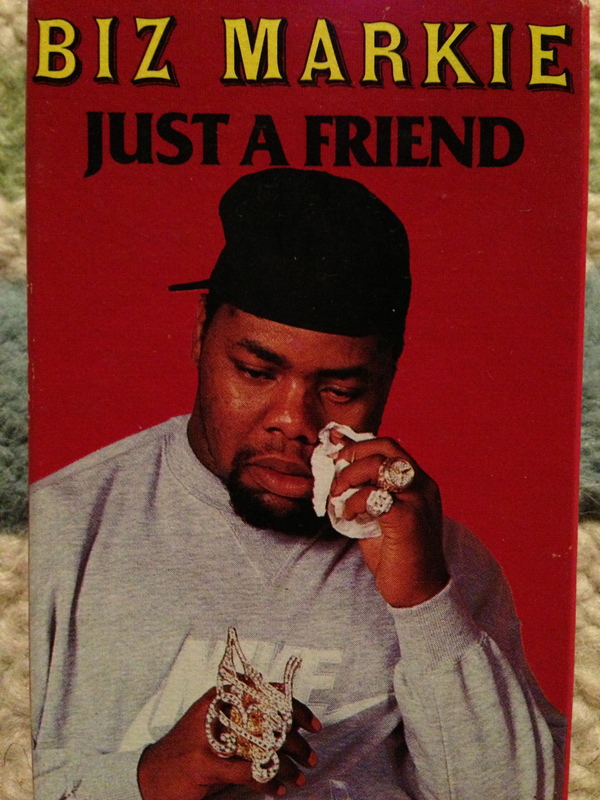 Yes, it was BIZ MARKIE! Now I just need a cassette player and I am in business. 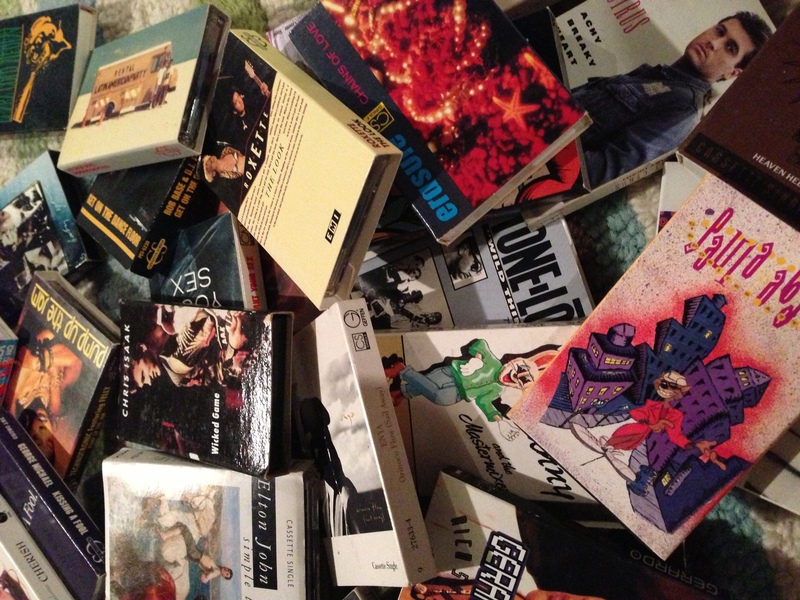 If you want to know more there is a website, Cassette Single World, dedicated to fans and the digital collection of “every Cassette Single ever released.” Enjoy!